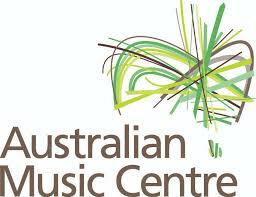 Music in Australia is the flagship research group of the Sir Zelman Cowen School of Music. It promotes music and music-making in Australia through publications, concerts and advocacy. The unit aims to heighten awareness of Australian music in all its forms and diasporas to the rest of the world via historical research as well as contemporary practice. The research group takes particular interest in music-making through the acknowledgement of gender and social cohesion within Australian cultural life. The ‘Gender in Diversity in Music-Making Conference’ held in July 2018 at the Sir Zelman Cowen School of Music demonstrates a commitment to cultural inclusion. Joel Crotty and Bronia Kornhauser are researching Felix Werder’s incorporation of Jewish music into own compositions in the 1950s and 1960s. Merlyn Quaife and Johanna Selleck (Melbourne Conservatorium of Music) are editing and performing Georgette Peterson’s Children’s Songs to texts by Annie Rentoul and illustrated by Ida Rentoul. Paul Watt is currently researching the connections between Mechanics’ Institutes and Music in nineteenth-century Australia. Rob Burke and Paul Grabowsky: Gravity Project – Collaboration between Australian and Japanese Musicians. The overarching aim for The Gravity Project is to create and disseminate a transcultural musical dialogue through a carefully structured collaboration involving Australian and Japanese improvising musicians in both a traditional and modern context. This project has financial and administrative support from the Australian Embassy Japan and Monash University, a DFAT cultural grant, and forms an integral part of DFAT’s Focus Country Program for 2018. The performances and recordings celebrate the collaborative nature of music, and showcases master musicians from the Japanese, alongside some of Australia’s finest contemporary improvisers.